Real life can no more act to pull us down than does the rising sun burden the spring flowers that wait to bathe in its nourishing light. Whatever it is that we wish to let go of must be something from which we wish to be free. This may be unpleasant or troubling relationships, a problem-filled past or fearful future, any form of addiction, recent painful events -- or any of those disturbing thoughts and feelings about these same troubling things that we no longer want in our lives. The truth is that troubles like these come with being human. We all know how it feels to want to let go. The problem is that wanting to let go, and actually being able to, is still light years apart for most of us. But it need not remain this way. The gulf can be sealed permanently once we understand that all that separates us from our intention to let go are those mistaken ideas we carry around about the nature of what's actually weighing us down. This is why we need new and higher self-knowledge. For instance, no thing in itself -- no event, no relationship, no regret-filled thought or feeling -- has any real weight of its own with which to pull us down. The nature of what really weighs on us is something altogether different. This can help to explain a deep mystery: Why is it that regardless of everything we do in our exterior life to rid ourselves of this or that problem, person, or contrary condition, we have yet to genuinely shake ourselves free? The real act of letting go is first an interior action, followed, if needful, by a wiser exterior action. After all, what is it that binds us if not where we are blind to some unconscious need to either maintain or keep forming these painful attachments? To see the truth of these findings is to realize why there can be no substitute for self-illumination. After all, no one frees themselves by laying down with one hand what they unknowingly cling to with the other! This explains why the aim of all true spiritual teachings has always had a dual purpose: 1) to reveal to us that no condition in our life exists apart from the consciousness responsible for its continuing creation, and 2) to bring the light of this higher self-knowledge into the unexamined darkness of our consciousness so that we no longer make the mistake of clinging to anything that compromises our integrity. If you want to know how to answer any ache you feel, here's the real answer: We need never answer any part of ourselves that wants to punish us, intimidate, or otherwise drag us down. Our power to dismiss these tormenting thoughts and feelings comes to us in proportion to our awakening understanding that we do not work for them. Therefore, we owe them nothing -- not one consideration, not even the wish that they would leave us alone! Our refusal to answer to these dark, discouraging, self-wrecking states leaves them with no one to try to push around. And without someone to bully about or otherwise drag down into their conflicted world, they have no world to rule over! Our awakened consciousness reclaims our right to be self-ruling because its power knocks all would-be dictators from their throne. No disturbance of any kind has the power to swamp and sink our heart or mind once we realize that we are the one lending these storms the force they need to drag us down. In practical terms this means that whatever disturbances we unknowingly create within us may be instantly uncreated in the very same moment we withdraw our consent to remain conflicted. 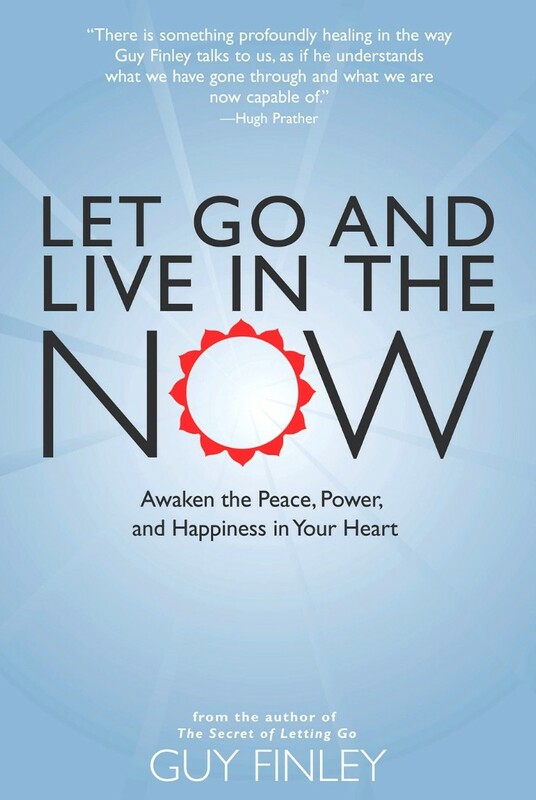 Excerpted From: Let Go and Live in the Now: Awaken the Peace, Power, and Happiness in Your Heart, pages 154-155, 128. Audio Choose "Up"...Not "Over Again!"